For the last few days I've seen questions in the front page that appear much fainter than the rest. I had seen such things in other sites with questions or answers that were heavily downvoted, but this does not appear to be the case for the questions where I'm seeing this now. Is there any explanation? Update: As Martin suggested in a comment, this is caused by tags that were somehow in my "ignored" list. However, unlike the screenshot in his link, I do not have such a list on the sidebar on the right of the screen. Any ideas why? The behavior you describe seems to be consistent with having some tags among your ignored tags. Many details about them can be found in the FAQ: What do “favorite tags” and “ignored tags” do? - I will quote some relevant parts. In the tag’s tooltip, click on the star twice (or once, if you have favoured that tag). On the main page’s sidebar, click on edit next to Favorite Tags. 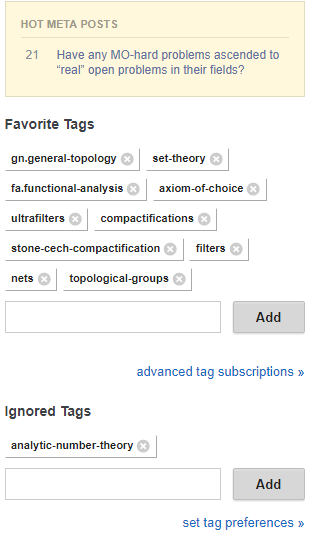 On /users/preferences, use the respective field in the Tags section. Note that you can use wildcards in the latter two. 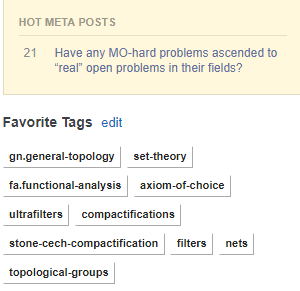 In the sidebar on the right when viewing questions you should see list of favorite tags. And, as mentioned above, the third option is to go to your profile and there choose "Edit Profile & Settings" and then "Preferences". Not the answer you're looking for? 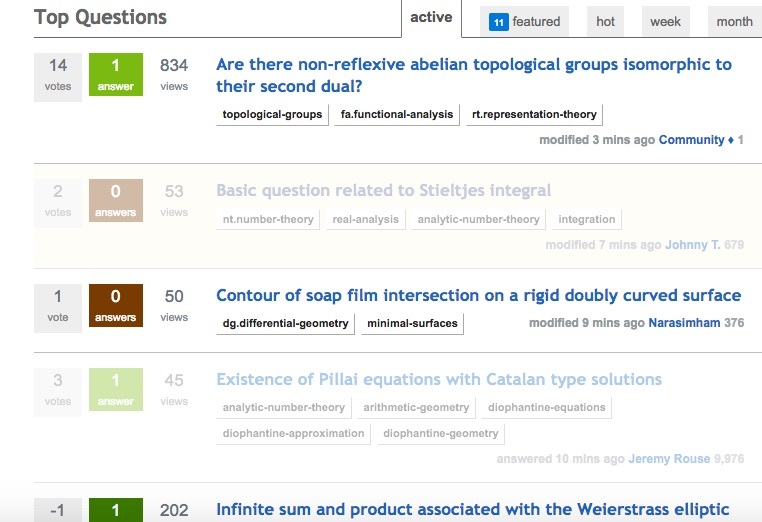 Browse other questions tagged support ignored-tags .